Cross country is over, but wait, we still have a track meet to report. How can this be? Well, it seems that the British Empire and Commonwealth Games were awarded to Perth. Australia and November is the height of summer down under, hence that is when the meet was scheduled. Awkward for those who contested a traditional track season, but there you are. More than awkward was the temperature. No mention is made in this issue's article, but a little research has revealed that most days, if not all, were over 100 degrees. 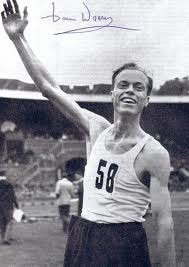 The highlight of the meet has to be the mile where world record holder Peter Snell is the heavy favorite. He has already bettered old rival George Kerr in 880, 1:47.6 to 1:47.8. 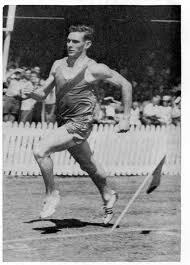 The first indication that Snell's confidence is high, but that he will just run to win comes the morning of the race when he runs a leg on the New Zealand mile relay. The second clue is evident right away when he trails the field through a 65 second opening lap. 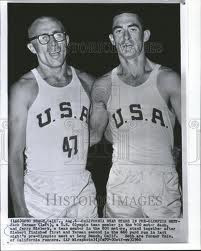 Obviously teammate John Davies and Southern Rhodesian Terry Sullivan, the primary competition, are running for the silver medal. The pace continues to dawdle though 2:06 and 3:09 splits. At the gun Davies and Sullivan take off. Snell is content to follow until the last turn when he surges easily to the front and finishes just hard enough to win. His 4:04.6 bests Davies by half a second and Sullivan by a full second. 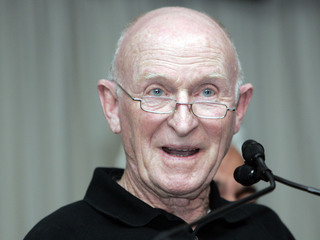 The race with the strongest field is the three mile where New Zealand's Olympic champion at 5000, Murray Halberg, will be challenged by Canada's wunderkind, Bruce Kidd, Australia's Albie Thomas, Pat Clohessey and Ron Clarke, England's Bruce Tulloh and Derek Ibbotson and an unknown from Kenya, Kip Keino. The pace is slow from the beginning with the mile marks reached in 4:35 and 9:18, playing into the hands of the uberfinisher, Halberg. In the middle of the 10th lap Kidd spurts into the lead, but it is too little too late. Halberg is right there. The bell sounds at 12:40. At the start of the backstretch it is see-ya time. Halberg is gone, en route to a 53.8 final go around. 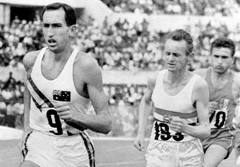 Now the battle is for second among Tulloh, Kidd and the surprising Clarke. Tulloh leads into the final straight, but Clarke and Kidd pass him with 40 to go with Aussie hanging on to take the silver. Halberg 13:34.2, Clarke 13:36.0, Kidd 13:36.4 and Tulloh 13:37.8. Finishing last is the 22 year old Keino who runs 13:50.0*. Who knows, maybe someday he will amount to something. The 19 year old Kidd can't be faulted for lack of effort. Two days before the three mile, on a day that the thermometer topped out at 103.7, he wins the six mile easily in 28:26.6 and two days after he runs 19 miles in the marathon before dropping out for undisclosed reasons. An educated guess would be the heat. The best field even mark comes from Michael Ahey of Ghana who wins the broad jump with a wind aided leap of 26-5. 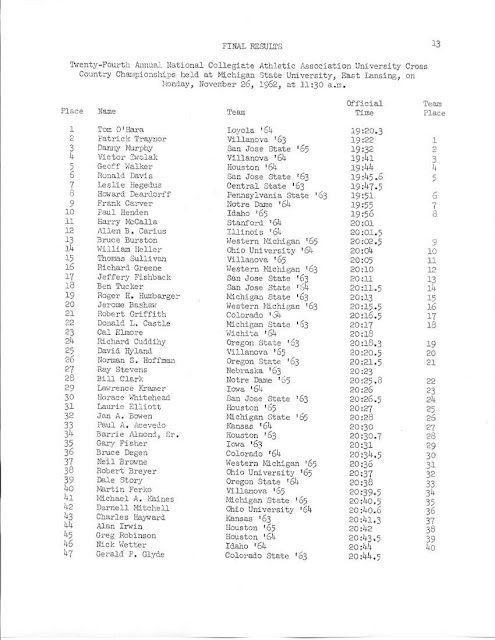 * note: for whatever reason any finisher out of the first six in the three and six mile races is timed only to the full second. Leave it to the British Empire to conserve by saving tenths. The youtube feed above shows a number of the above described races. 2:18:56.8 in finishing fourth in Japan's Asahi International Marathon. 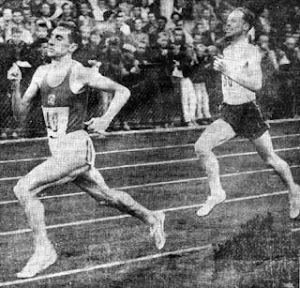 Track never seems to end in 1962. 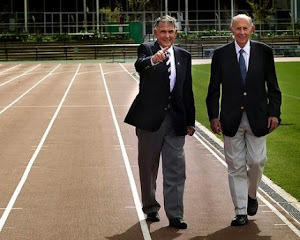 On December 20, nearly three weeks after the Commonwealth Games have been put to rest, the University of Oregon arrives to take on New Zealand in a four mile relay. 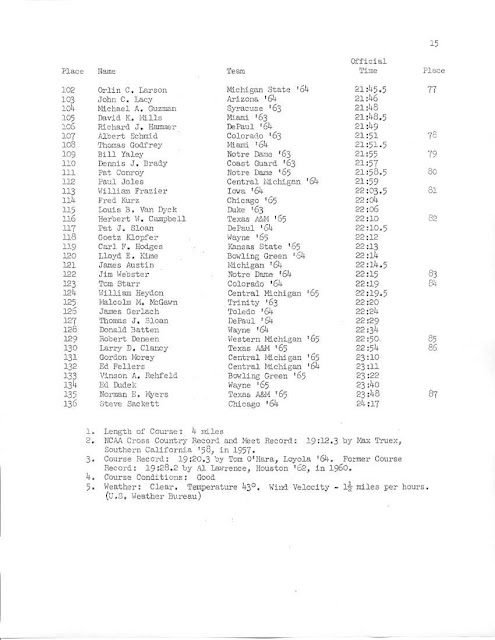 The Ducks are the world record holders, having run 16:09.0 last spring. 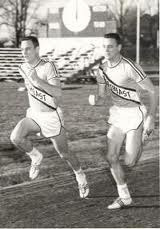 On the other hand, the Kiwis have Olympic champions Snell and Halberg. 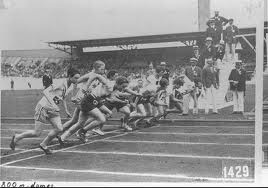 The race is decided on the first leg. 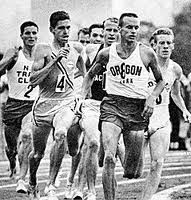 Vic Reeve, leading off for Oregon, falls on the final turn on the “mushy track” (remember New Zealand only has grass tracks) and loses thirty yards to Bill Baillie. The times indicate that either the weather is terrible or nobody really cares. Dyrol Burleson runs 4:08.0 on the third leg. Halberg only cranks out a 4:11.6 split. Snell anchors in 4:08.1, just fast enough to hold off Keith Forman's 4:06.2 as the boys from down under win in an uninspired 16:43.0 with the Webfeet eight tenths back. 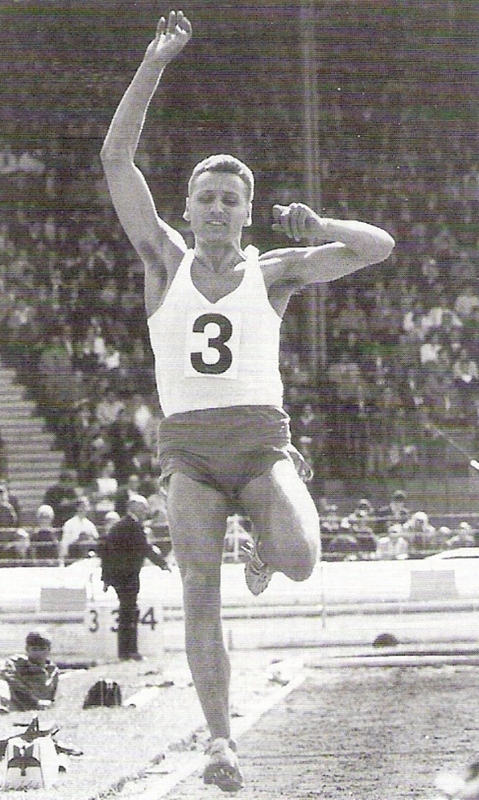 Valeriy Brumel (3 7/8 inches better than any other jumper); pole vault: Ron Morris; broad jump: Ralph Boston (9¼ inches behind WR holder Ter-Ovanesyan, but undefeated having beaten T-O in their only match, whereas T-0 lost to countrymen on another occasion); triple jump: Jozef Schmidt of Poland; shot put: Dallas Long; discus throw: Al Oerter; hammer throw: Hal Connolly; javelin throw: Janis Lusis (also fifth in the decathlon in his only attempt); decathlon: C.K. Yang. One entire page is devoted to an ad for Nutrament. Nutrament is a nutritionally complete food. It provides all known essential nutrients. It can be used as an easily digestible pre-meet meal or supplement. It can be used for weight gain (400 calories in a 12½ ounce can). It is a convenient meal on the road. 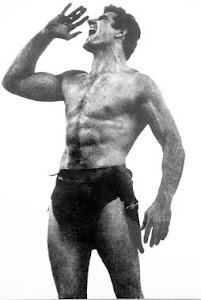 On top of all this, Nutrament is delicious. 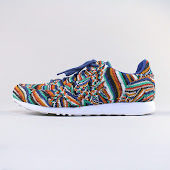 Reading all this makes one want to go out an buy can right now. Unfortunately, apparently the only way you can get this wonder product is by writing for sample two can pack to the Athletic Department, Edward Dalton Co., Evansville 12, Indiana. And, yes, though we haven't mentioned it in quite awhile, Clifford Severn Sporting Goods in North Hollywood is still selling Adidas from the last page of every issue including this one. Some things never change. 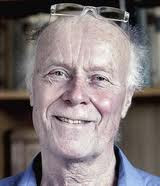 Don Meyers blossomed in the spring. 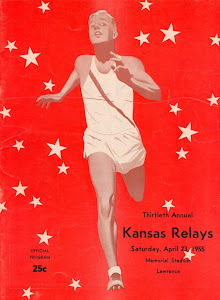 Track and field was the growing period, and the warming temperatures and championship events brought out his best. If he were competing for the University of Colorado today, he'd be priming for the Big 12 championships this weekend at Frank Potts Field in Boulder. 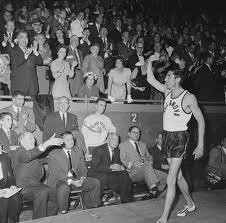 History indicates Meyers would contribute something special at the meet. "I tried to play basketball in high school, but with my big horned-rim glasses, I could barely see the basket," said Meyers, who attended Palmer High School in Colorado Springs. 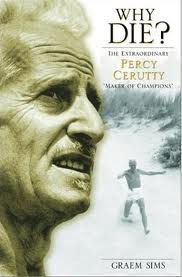 "I didn't play basketball very well and that left track and field. 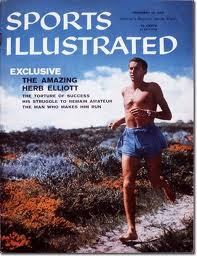 I always liked anything that had to do with jumping, and I had good coordination with my legs." 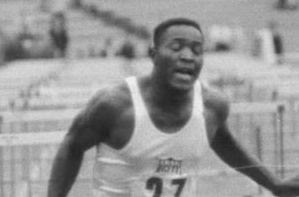 In track and field, he went on to become one of only a handful of college athletes to win NCAA championships in two events. 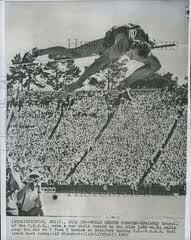 The long jump was his specialty, and he won the NCAA title in 1961 with a leap of 25 feet in Philadelphia. 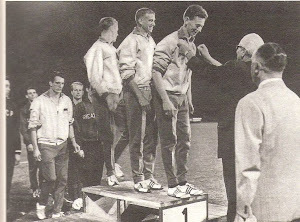 The pole vault is yet another story, but it also turned blue ribbon for Meyers at the 1962 NCAA championships at the University of Oregon. Meyers finished in a four-way tie for first place, all the winners clearing 15 feet, 3 inches. 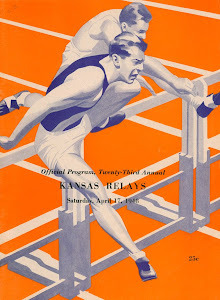 Later that year, Meyers set an indoor world record in the pole vault at 16-1 1/4 in a meet atthe University of Chicago. "I picked up a pole vault for the first time when I was a senior in high school," Meyers said. "I fiddled around with it and found the event was exciting and enjoyable." A few weeks later, he tied for the state championship in the pole vault, clearing 12-7 1/2. 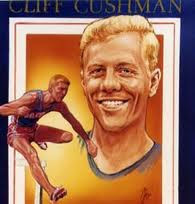 Meyers credits CU coach Frank Potts, who coached 1968 Olympic decathlon champion Bill Toomey and 1960 NCAA 400-meter dash champion Ted Woods, for making him into a championship pole vaulter. "It basically was him saying, 'Here's the pole and you run down the runway,' " Meyers said. "He built me into a pole vaulter from scratch." 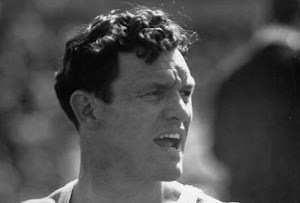 While it became his premier event, Meyers never won the Big Eight title in the pole vault. A hamstring injury was a factor. 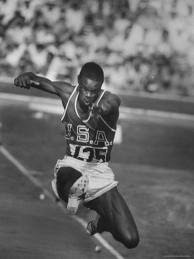 But he won four Big Eight long jump championships — two outdoor and two indoor. 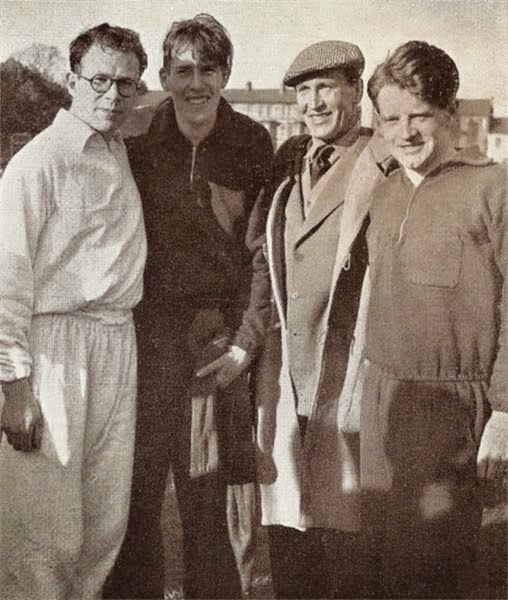 Meyers remembered Potts as a second father. "It was a pleasure to be coached by a man of character," Meyers said of Potts. "He had a great way of letting you know he was interested in his athletes." Meyers turned his attention to coaching when his competing days were over. 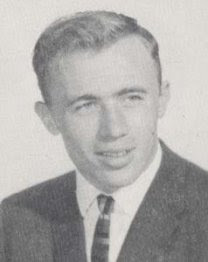 He was an assistant for Potts in 1963 and became the coach at Colorado State in 1964 at age 24. 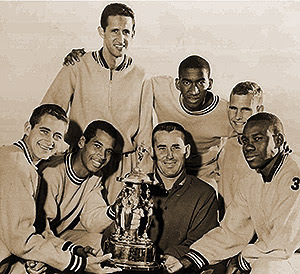 CU called him back in 1968 to assist Potts, who also was a member of the U.S. Olympic coaching staff. Potts retired the next year and Meyers took over. "He (Potts) had handpicked me and wanted me to come back," Meyers said. "He still came out to every practice and stayed involved." The best way to describe Meyers' personality in the coaching circle is to relate it to the energy of springtime, the new growth, the new blossoms and new colors. 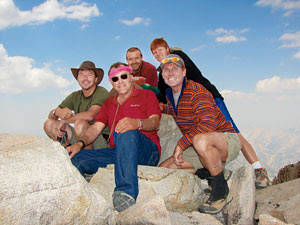 "I wouldn't put myself in the category of a hard-nosed disciplinarian," Meyers said. "I had definite rules and regulations, but my style was pretty relaxed." 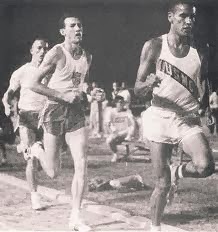 Meyers coached some of CU's all-time great performers in track and field, with the likes of Cliff Branch, Larry Brunson, George Daniels, Marcus Walker, Ted Castaneda and Chuck Morton. 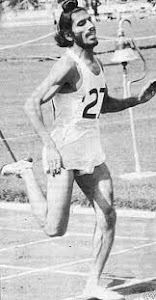 Jerry Quiller, who is retiring this year as the track and field coach at Army, coached the distance runners on Meyers' staff. In 1975, Meyers received an offer to enter private business that he couldn't turn down. 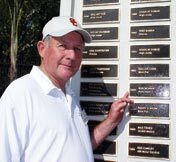 "I enjoyed coaching and it was a wonderful thing to do, but I realized that I wasn't going to be a longtimer like Coach Potts," Meyers said. "An opportunity came my way in the real estate business, and I decided to take it." Hobbies: Meyers says his dabbling in currency trading isn't for "the faint of heart." Note: George feel free to correct my use of German if it is awkward. Wunder and Uber exhaust about half of my German vocabulary. We just went over 17,000 hits on this site today. Not bad for a very narrow niche blog. And what a great lot of information. 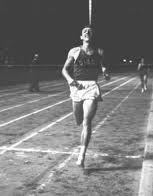 I've included a Villanova U. website with a bio about Vic Zwolak, some good pictures of Tom O'Hara who won the NCAA cross country meet in 1962, and a brief recollection of Leslie Hegedus, an American Hungarian who made his mark in the Midwest and also nationally in this year. 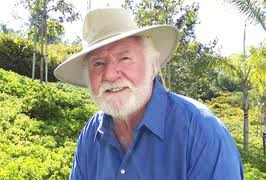 Thanks to Roy Mason for a great synopsis of events. As would seem fitting, the November issue of Track and Field News is filled with results of cross country meets. Well, sort of. The meets earlier in the month are covered in detail, but the most important competitions, the NCAA and the AAU mention only the first few finishers and the team champions with the note “complete details will appear in the December issue”. Well, that kind of shoddy reporting is not what you readers are paying good money for. Your resolute reporter is not above peeking at the December issue in order to provide the full story. And now, the results in chronological order. November 10 finds us in Ames, Iowa for the Big Eight meet where the distance is three miles. 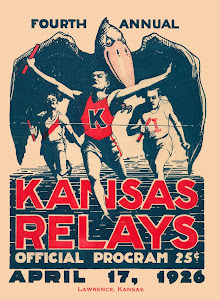 To a spectator standing at the finish, it would appear the team race is between Nebraska and Kansas. 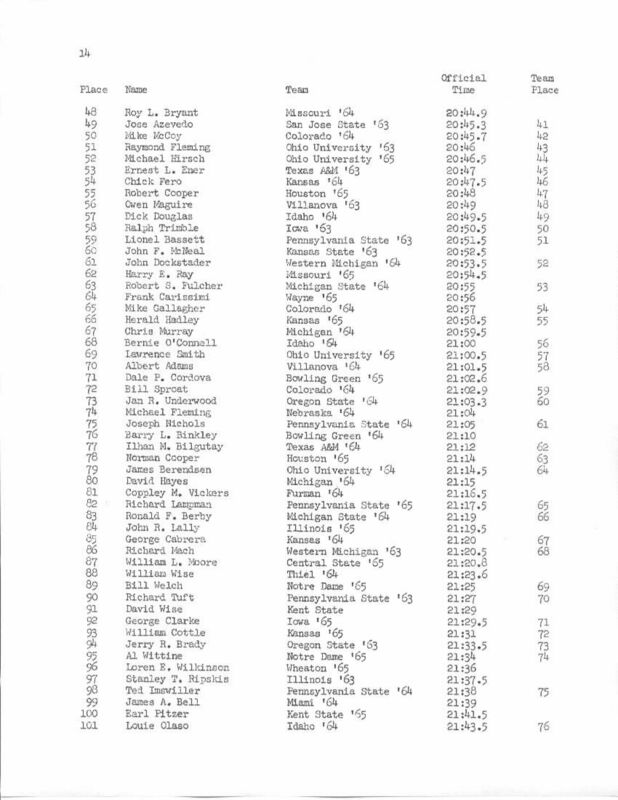 Mike Fleming of Nebraska is the winner in 14:53 and teammate Ray Stevens is second, eight seconds back. But here comes Kansas. The Jayhawks take 4th, 5th and 6th. Now the question is depth. Unfortunately for the Cornhuskers and Jayhawks, the depth comes from Colorado. The Buffaloes place 9th, 10th, 12th, 13th and 16th with a spread of 13 seconds to edge Kansas 60 to 63 with Nebraska third at 76. This is not the end of big time cross country in Iowa, for two days later the Big Ten meet takes place in Iowa City. Allen Carius of Illinois smashes his own four mile course record by nearly a minute, winning by 12 seconds. Michigan State places four in the top ten and wins its tenth Big Ten championships in thirteen years. Spartans 39, Hawkeyes 64, Wisconsin 83. 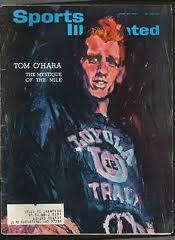 Now it is November 16 and we are in Chicago's Washington Park for the Central Collegiates which quickly turn into the Tom O'Hara Show. The Loyola of Chicago junior has had a couple bang up indoor seasons, but injuries have hampered him outdoors. Not this day, however. 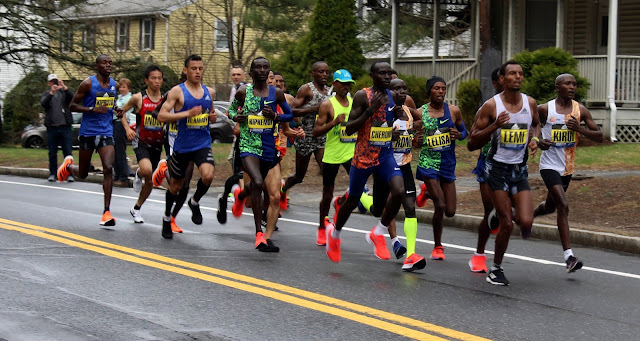 He pulls away from the pack with ease in the final mile of the rain soaked four mile race to win by 18 seconds in 19:21. Ohio University takes the team title with 50 points. Western Michigan and Kansas follow at 62 and 87. 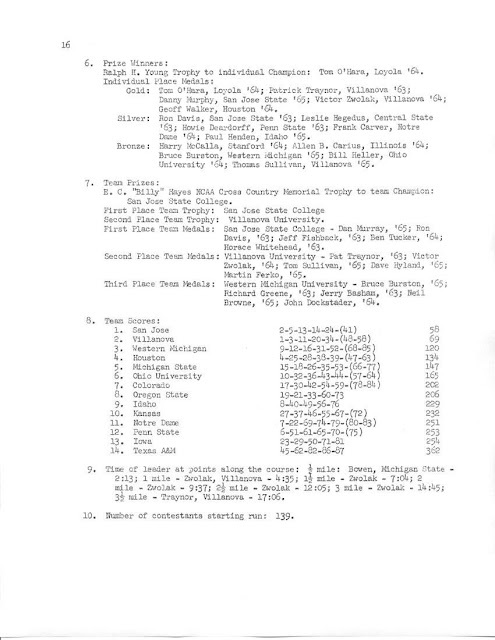 On November 17 in Wheaton, Illinois Central State of Ohio adds the NCAA college division championship to the one it won in 1960 to become the first school to win this meet twice. Central's Leslie Hegedus covers the four miles in 19:59 for the individual title. Central 77, Northern Illinois 96, Emporia State 119. Ed'.s note. 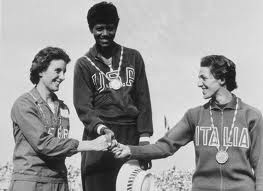 I first saw Leslie Hegedus run at the Ohio AAU cross country championships in Dayton, OH about 1958 when I was in high school. 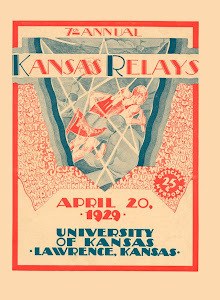 I talked to Leslie tonight by phone, and he confirmed that he was third that meet running for the Cleveland Magyar Club, Press Whelan from the University of Kentucky was the indivudual winner that day. Central State recruited him on the spot. The Magyar club was made up of Hungarian Americans and some refugees from the 1956 Hungarian revolution who settled in the Cleveland area. 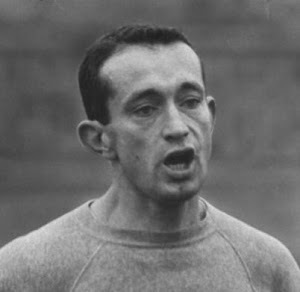 Julius Penzes an older member of the club had been ninth ranked in the the world in the 10,000 meters back in Hungary and had been coached by Mihaly Igloi there. Penzes is 86 years old now and living in Oregon. I remember too that Leslie had a long scar on his upper arm that was probably the surgical result of a broken humerus, but we all speculated that it was probably from a Soviet bullet. We were wrong about the bullet wound. 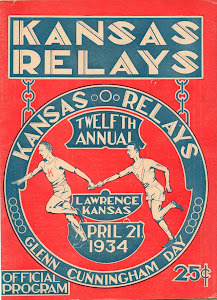 In Roy's comments about one of the races, it is mentioned that Leslie was a Displaced Person, but Leslie was adamant that was not true. His mother was born in the US but her family returned to Hungary when she was 16. 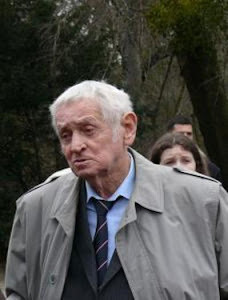 Leslie was born in Hungary in 1937, but had rights of citizenship through his mother. 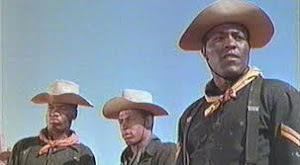 They came back to the US in 1949 when he was 12 years old. 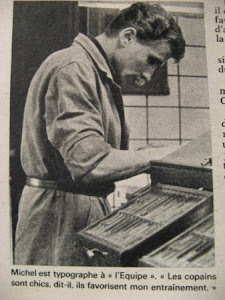 His father was able to join the family at a later date having to bribe Communist officials to get an exit permit. He never ran in High School. Leslie was a music major at Central State and taught music in several Catholic schools in the Cleveland suburbs St. Dominic's in Shaker Heights and St. Cyril's in Lakewood. 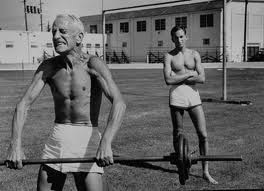 He is still a very fit man and remains at his old racing weight of 152 pounds. 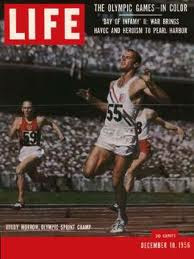 At the age of 44 he was able to run a 4:29 mile and 31:29 10 Km. 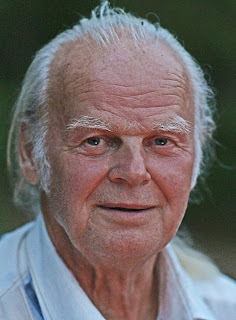 Though he no longer runs much he does climb a lot of steps in a local park and is very active with his music at age 75. Two days later and we are in New York's Van Cortlandt Park for the ICAAAA meet, a meet Villanova has never won. Not anymore. The Wildcats edge Big Ten champion Michigan State 49-53 thanks to a 1-2 finish by Vic Zwolak and Pat Traynor. 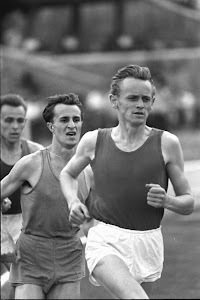 At the start of the day the five mile course record is the 25:19.8 run by Peter McArdle earlier in this year. The collegiate record is the 25:38.3 put up last year by Cornell's Steve Machooka. Ed's. note. Machooka from Machakos, Kenya may have been the first Kenyan to run at an American University. This was a time when very, very few Kenyans had ever attended college outside of England where the lucky few were sent at the time of independence. Those records weren't beaten; they were obliterated. Zwolak wins by 40 seconds over his teammate in 24:47.3. He says once Traynor fell back, he eased up to save something for the NCAA meet which will be held in five days. The USTFF meet is held in Columbus on November 22. Although there are a few top runners, the meet is an amalgamation of oddly mixed teams. 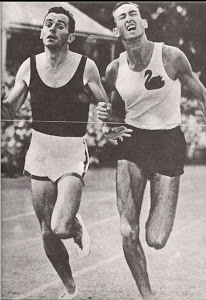 Leslie Hegedus and John Macy, a former Polish army officer, match strides for five miles before Hegedus pulls away in the last mile for a 15 second win. Team scores reflect lack of continuity: Houston Track Club 23, Ohio University 32, Kentucky Federation 70, Ohio State 85. The next day sees us at Stanford for the fourth annual West Coast Cross Country Championships run over 4.2 miles on the university golf course. This meet also has an odd air about it. Stanford wins with 10 points. Oops! How is that possible? Well, it seems that the five scorers thing hasn't made its way over the Rockies. The yet-to-be-offensively-named Indians run 1-2-3-4 with sophomore Weym Kirkland the winner in 20:06. Team captain Harry McCalla is held out as he is to depart for the NCAAs the next day. Team scores are included here to emphasize what a strange conglomeration of schools are involved. Following Stanford are San Diego State 50, Cal and San Jose State 51, Occidental 63, Whittier 128, Pomona 137, Claremont-Mudd 154. The esteem in which this meet is held is made clear by the fact that San Jose State held out its top six runners so that they would be fresh for the NCAA meet three days later. We will see how that works out shortly. 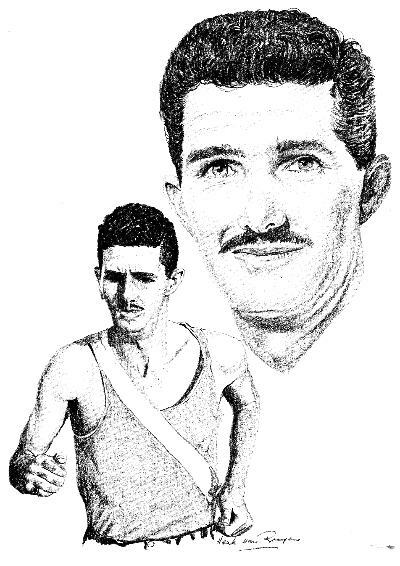 Peter McArdle may not have the Van Cortlandt Park record, but on November 24 he overcomes that disappointment sufficiently to hold off John Gutknecht over 10,000 meters and win the AAU championship in Chicago's Washington Park, a victory that earns him a trip to Sao Paulo, Brazil for the Midnight Run on New Year's Eve. Third placer Max Truex's LATC wins the team championship. 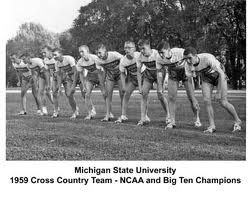 The last cross country meet of the season, fittingly enough, is the most important, the NCAA meet, held over four miles on the Michigan State course on the 26th day of November. The conditions are optimal: 43 degrees, virtually no wind and a dry course. The individual race appears to be between Villanova's Vic Zwolak, the ICAAAA winner, and the Central Collegiate champion, Tom O'Hara of Loyola. The team battle should be between ICAAA champ Villanova and San Jose State who has thrashed a good Stanford squad twice. Zwolak takes it out hard, but O'Hara, who has been told to stay with the leader, does exactly that. 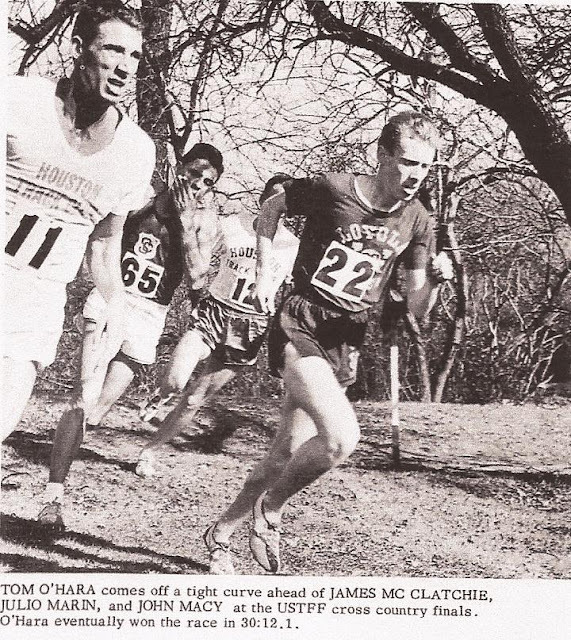 In the second mile Idaho's Paul Henden takes the lead briefly and O'Hara responds. Zwolak regains the lead, but in the fourth mile Danny Murphy of San Jose tries to break away with no success. 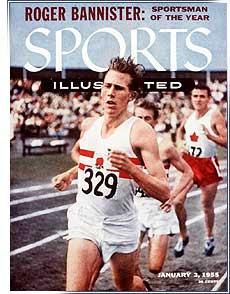 With a half mile to go Zwolak drops off the pace, but teammate Pat Traynor takes the lead and tries to steal the race. O'Hara, a 4:01.7 miler, is having none of it. He stays with Traynor until 150 yards are left and blows by to win by ten yards, 19:20 to 19:22. Murphy hangs tough for third at 19:32 with Zwolak fourth in 19:41. The San Jose team gets off to a terrible start. At the half mile they have no one in the top 40. But races aren't won at the half mile and the Spartans work up steadily. 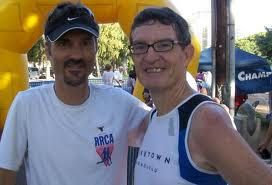 Behind Murphy in 3rd, comes Ron Davis in 6th. Jeff Fishback and Ben Tucker finish 17th and 18th. 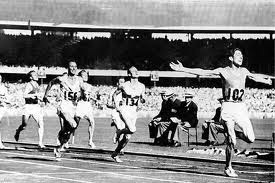 When Horace Whitehead crosses the line in 30th, the west coasters have won. San Jose has 58 points to Villanova's 69. No other team is close. The next three spots go to Western Michigan 120, Houston 134 and Michigan State 147. For an update on Vic Zwolak, check out this website made by Villanova on Vic. Nice job by a university that does not forget its past athletes. 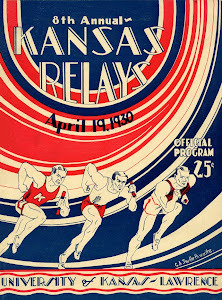 Our report would not be complete without some mention of track and field. The season may be long over in the US, but much of the rest of the world is still having a go at it. There are meets from Europe still to report and, believe it or not, the British Commonwealth Games in Perth, Australia will run into December. 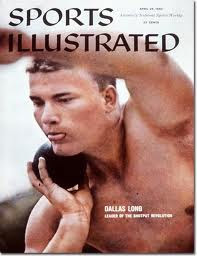 The mark that stands out to this reporter is the decathlon score run up by Latvian Janis Lusis. 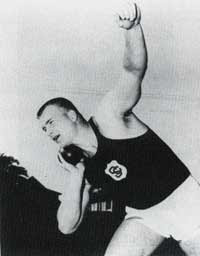 Janis Lusis, destined to be arguably the greatest javelin thrower of all time, that Janis Lusis? Yep. 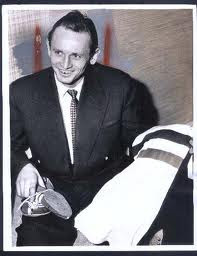 This year he has established the USSR record and won gold in the European Championships. Seems Janis is a pretty good all around athlete. Just to put the cherry on the top of his regular season sundae, he competes in the decathlon held Oct. 18-19 in Tashkent, Uzbekistan. 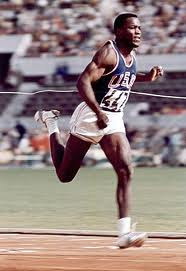 On the first day he runs the 100 in 11.2, broad jumps 23-6, puts the shot 48-8, high jumps 6-2¾ and runs the 400 in 51.8. 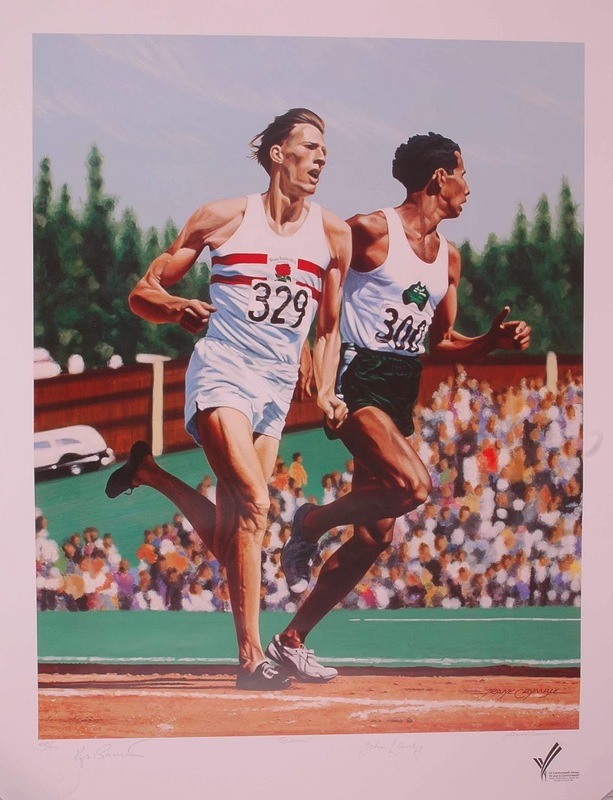 The next day he hurdles 15.5, throws the discus 123-3, vaults 11-9¾ and runs the 1500 in 4:50.3. Oh, I almost forgot. 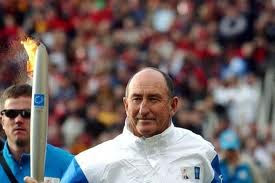 He flings the javelin 265-10½ for a total of 7763 points. Good job Janis. Take a little time off to chop some wood and do a little ice fishing. We will see you next spring. 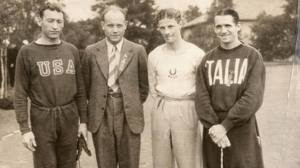 The IAAF has met (though no date is given) and the world of track and field has been dragged kicking and screaming into the 20th century. Let us count the ways. The fiberglass pole has been approved with the result that Pentti Nikula's 16-2½ is now the official world record. The committee approved ten meter run up zones in sprint relays. 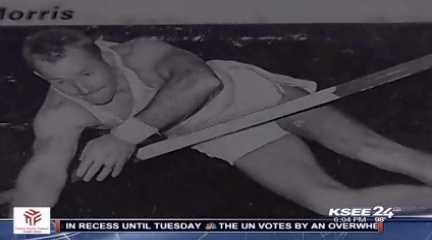 Javelins that will be used in the 1964 Olympics must meet IAAF standards and be sent to Tokyo for approval by March 31, 1963. No country can send more than six wooden or two metal javelins. Another gigantic step forward was taken with the adoption of electronic timing for the Tokyo Olympics and future European Championships. Field event measurements submitted for world record consideration must be done so in meters to the nearest centimeter below. 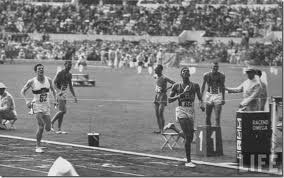 Sprinters, be warned that if you do not come to your final set position within “a reasonable time” once the command is given, you will be charged with a false start. Apparently the burden of determining “a reasonable time” falls to each individual starter. 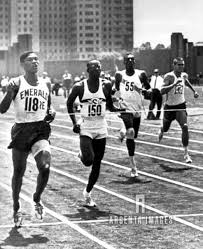 The first 100 meters of 800 meter races in international competition must be run in lanes. And here is the biggie. Athletes have hopped their last hop, stepped their last step and jumped their last jump. The official name of the event is now the triple jump. Good job, IAAF. Now can we talk about that broad jump thing? 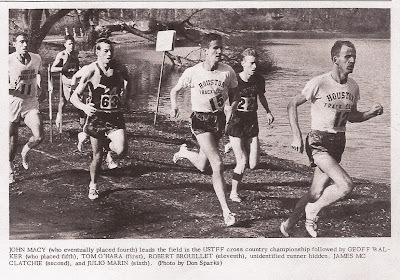 Click on this article from the NCAA to read about the 1962 NCAA cross country championship. How much things have changed. 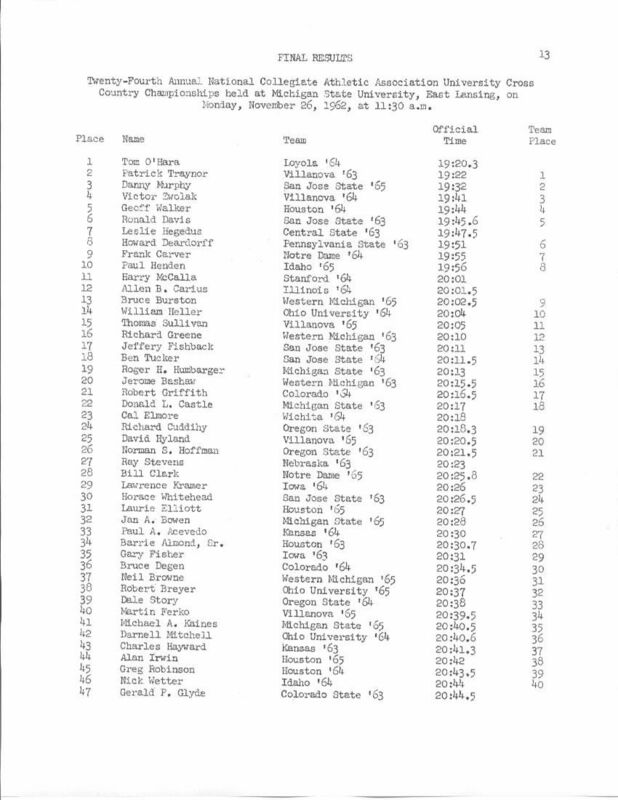 No qualifying meets in those days, nobody chasing times or wins qualify for nationals. If your coach thought your team was good enough, and he had it in his budget, the team or the individual went to the big show. Usually there were some college division guys who ran if the meet was in their area. There were two divisions then University and College. they ran at different venues as they do today. College was the equivalent of D III today. This was before San Jose was synonomous with the term Silicon Valley. There was no Apple, Microsoft, or the like, just Remington Rand and IBM that were making warehouse sized computers. Here's a question that will tap your memories. It sure hit mine when I found this two year old article from the Huffington Post and aol.com. 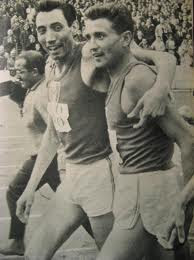 What two men, college roommates at the time, both broke world records in field events within a half hour of each other at the same meet? It's a sad story for both and one that I never expected to see, yet the memories of some of it are coming back. Click on the website below for the answer and a great story.